Consider leasing. The 2011 Volvo S60, along with most of its rivals, are volume models that luxury brands need to keep moving, so especially in slow months they tend to offer some sweet lease deals. Volvo is no longer just for those who want to play it safe; the new S60 is a stylish and well-designed sport sedan that's very enjoyable to drive - even if it trades off a bit of edginess for comfort and refinement. There's a lot more to Volvo than there used to be, and the S60 showcases that more flamboyantly than any of the brand's other current models. This time, Volvo is looking beyond just those who want style and safety and truly setting its sights on driving enthusiasts and models like the Audi A4—perhaps even the benchmark BMW 3-Series. All 2011 Volvo S60 models come in top-of-the-line T6 form—with a 300-hp, 3.0-liter turbocharged in-line six-cylinder engine, all-wheel drive, and a six-speed automatic transmission. While the automatic transmission doesn't always respond as quickly as we'd hope, the engine is smooth, sweet, and strong, with an uninterrupted rush of power when you need it. The first impression of the S60, from behind the wheel, is that it's relatively benign yet more charismatic than Volvos of the past. Unlike sharp enthusiast sedans like the Mitsubishi Evolution, Subaru WRX STI, or even to a degree the Nissan G37 or BMW 3-Series, the S60 doesn't reveal its sporting intent at every moment. 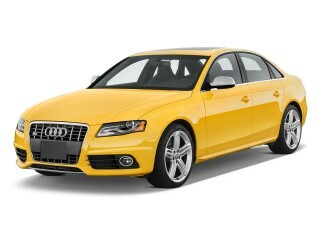 Ride quality is firm but very absorbent, the cabin is tight and quiet, and it feels all the part of a luxury car. The 2011 S60 is especially rakish and sporty-looking for a Volvo, but not especially daring in its class. The stunning interior, on the other hand is one of a kind. The 2011 S60 looks like a Volvo, yet its more rakish and aggressive than anything that's ever before been in this Swedish brand's stable. The S60 is handsome, expressive, and organic all at once from the outside, with smooth contours and swooping lines matched up with a low, wedgy front and pert tail, and framed with large flashy alloy wheels. Inside the S60 has has an ultra-cool floating center stack of controls that pushes the Swedish design ethos into a hipper direction. Textures and design themes inside are far from the ordinary for luxury sedans. Instead of simply wrapping the interior in lots of leather and matte-metallic trims, as some automakers do, Volvo has harnessed the starkness and contrasts of Scandinavian design and produced a surprisingly warm, functional interior. It not only employs contrast in the way of two-tone for the instrument panel and upholstery, but also up close in the texture of materials; the texture of the material atop the dash, for instance, was modeled after rippled water. With 300 horsepower and all-wheel drive, the 2011 Volvo S60 has serious sport-sedan chops. Softened powertrain response and the lack of (expected in this class) paddle-shifters are the only letdowns. While the S60's more aggressive new look might be indication enough that Volvo intends to provide serious performance this time around in the S60, the base spec—300 horsepower and all-wheel drive—confirms it for those who live and breathe performance. While other markets will get smaller engines, the S60 is being brought to the U.S. in only one powertrain flavor for now: a 3.0-liter turbocharged in-line six-cylinder engine. It's an impressive engine, making a peak 325 lb-ft of torque, but drive the S60 normally in traffic and you probably wouldn't know it, thanks to a soft throttle calibration and a smooth, refined character. 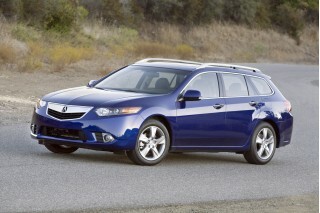 It's hooked up to a six-speed automatic transmission on all models (there's no manual transmission available). The six doesn't have tremendous torque right off the line, but keep your right foot into it and it pins you back with impressive thrust after a moment, especially at the top of first and second gears. The dash to 60 mph takes just 5.8 seconds. Overall the S60 feels perky and pretty responsive and could easily handle the mountain grades on our drive as well as the abrupt 400-foot elevation changes of the track. The S60 steers and handles exceptionally well, with surprisingly good steering feel considering there's such good isolation from harsh surfaces. The S60 is still based on the same platform and underpinnings as the new S80, as well as the XC60, V70, and XC70, but of all those models it has the stiffest, sportiest tuning suspension tuning yet. The steering-gear ratio is also quicker than in Volvo's other vehicles, and the column itself gets stiffer bushings to help bring more feel of the road. Through a "MyCar" menu accessed when stopped, the driver can dial up one of three settings for steering feel. Surprisingly, the lightest setting was our favorite, as it brought easy maneuverability in the parking lot yet seemed, counterintuitively, to impart more a bit more feel of the road at higher speeds. Yet despite those racy looks, dashing interior, and sport-sedan credentials, the S60 is certainly not a car that invites to be flogged. Not in the same way as a BMW 335i, or even an Audi S4. The sportiness is all there on the road, but you have to work a bit to bring it out; there's a slight delay from the time you press the accelerator pedal until the turbo six really comes to life, and in the on/off transitions of a twisty road, the Aisin six-speed automatic would get a little confused, hesitating for a moment, then downshifting a little late coming out of each turn. If you nudge the shift lever over to the right, the transmission will supposedly follow a sporty shift pattern and 'learn' the road; but we didn't have much better luck with that. Further bruising the S60's sporting intent a bit: there are none of the requisite paddle-shifters to be had, and the transmission won't actually lock into a gear. Squeeze into the throttle too much coming out of a corner in manual mode and you might get an abrupt downshift. Considering its compactness, the 2011 Volvo S60 is surprisingly spacious inside, with an adult-sized backseat, and it doesn't sacrifice any comfort for its sporty driving response. The S60 really isn't that large: Its 182-inch length puts it at about the same as a Chevy Cruze, or in luxury speak, any number of compact sport sedans like the Mercedes-Benz C-Class and Acura TSX. But Volvo makes great use of its space. Take a seat in the 2011 Volvo S60, and its rakish design doesn't make any real compromises for functionality. The 2011 S60 is still a five-seater with ample space for all its occupants. The S60's lower cushions in front aren't quite as long as this six-foot-sixer would have liked, but it's easy to reach a good driving position and after several hours of driving on curvy roads our backs were feeling fine. As with any small sport sedan this size, backseat space is at a premium; in order to help fit adults back there while keeping that low, swoopy roof, engineers smartly dropped the lower seat cushions and provided outboard occupants with carved-out individual positions. The result, shockingly, is that occupants well over six feet tall (including this writer) can fit in back, with some built-in lateral support as well. All the flexibility and utility that sedan shoppers expect is there in the S60. The rather high deck actually affords a large trunk and a pretty large opening, and the rear seat splits 40/60 and folds forward to expand space for large cargo items—although there is a step up that doesn't make it completely continuous or flat. Ride quality is firm but settled and smooth, and in a class of vehicles that typically have a fair amount of tire or road noise, the cabin is remarkably quiet. S60 buyers have a choice of one of three different suspensions: Touring, Dynamic, and Four-C Active Chassis. 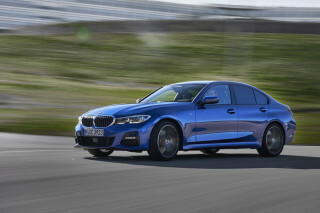 Out test car came with the Dynamic setup, which will be standard on U.S. cars; the softer Touring suspension will be offered as a no-cost option, while the active suspension is a $750 standalone option. But on the track, we drove an S60 with the active system—that comes with Comfort, Sport, and Advanced modes, but we kept it in Sport for most of the time. The 2011 S60 offers more safety features than any other car in its class, but it's a little disappointing that, from a brand built on safety, not all of them are standard. Safety features are of course offered up in spades, with a new Corner Traction Control feature designed to smooth cornering by redirecting torque between the axle. And again the automaker is at the leading edge; an all-new world debut in the new S60 is a Pedestrian Detection with Full Auto Brake feature, which can detect a pedestrian, vehicle, or other obstacle in the road ahead and brake to a full stop if the driver doesn't register any indication that they've seen it. The new system uses cameras and radar to identify potential issues and warns the driver, with a light and a chime, at the point where a collision seems inevitable, then actually applies the brakes with full force so that, if you're going less than 22 mph, you'll probably be able to stop just short of the obstacle, vehicle, or person. And at higher speeds, it helps to reduce the collision speed and severity as much as possible. There are plenty more innovative safety features, but many of them are optional. Driver Alert Control, Adaptive Cruise Control, and Lane Departure Warning are all available as part of a Technology Package, while a Premium Package combines a moonroof, power passenger seat, and active HID headlamps. Other standalone options include the Blind Spot Information System (BLIS) and Volvo's Personal Car Communicator keyless ignition and memory keyfob system. Up to about 20 mph, the system will detect an obstacle in the road ahead and, if nothing is being done by the driver, will brake automatically to a full stop. With any abrupt steering action, the system assumes that the driver sees the obstacle and is trying to avoid it. However, overall, most of the S60's safety equipment is thankfully unobtrusive. There's none of the nanny feeling that we've experienced in the past with other vehicles, and we were allowed to enjoy driving pretty much as we please. Don't try tailgating though; windshield lights will brighten with a stern warning. All the expected side and side curtain airbags are standard, and the S60's stability control adds in data from rollover sensors to give it an additional iota of preventative safety. There's also Driver Alert Control--a version of a system that debuted in the Mercedes E-Class, and which flashes the now-infamous coffee cup when it detects drivers making erratic moves. Parking sensors are included, and the S60 has front and rearview safety cameras, with wide angles of sight. No crash-test results were yet available at the time of writing, as the S60 is a completely new vehicle. You can get some of the best entertainment and tech features in this class in the 2011 Volvo S60; add more than a few, though, and the price can hit the $50k mark. For 2011, the Volvo S60 only comes to the U.S. in top T6 trim. You get a very well-equipped vehicle, at a moderate price for this class, but options can drive its price way up. The S60's interior, in addition to being sleek and curvy, is very functional. The instrument panel is particularly well-designed, with a bin just behind the 'floating' center stack, as well as a large center-console bin, with USB input inside, for small electronics and smartphones. 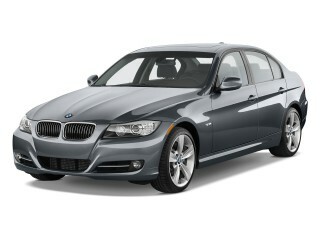 The control layout is also refreshingly intuitive compared to that of some luxury sedans. Volvo provides real buttons for most commonly used features—along with that rotary switch on the steering wheel, so you can simply press one of the buttons on the center stack, like 'radio' or 'nav,' then roll through the menus with the steering-wheel controls. Standard features are aplenty, including heated outside mirrors, steering-wheel audio controls, a trip computer, cruise control, dual-zone climate control, a power driver's seat, and a 160-watt sound system with HD Radio, Sirius Satellite Radio, and auxiliary and USB inputs. The new sound system—from Audyssey Laboratories, a company that's made its name with home and professional theater systems—is one you'll want. It sounds great, and uses 12 speakers with a digital amp. A USB port is included, inside the center console so you can hide the goods away, and when we hooked up an iPhone it allowed seamless control of the music and podcasts through the steering-wheel rotary toggle. A Multimedia Package (nav, real-time traffic, rear park assist, and premium sound) and a Climate Package (heated seats, headlight washers with heated nozzles, rain-sensing wipers, and headlight washers) are also on offer. Pricing could be an issue for some shoppers. The S60 starts at $37,700, and many of the desirable entertainment and safety features are optional, as well as some of the most distinctive interior materials and trims. A loaded 2011 Volvo S60 can top $50,000. The 2011 Volvo S60 is quite fuel-efficient for a 300-hp sport sedan, but against other luxury vehicles its size it's unremarkable. The S60's EPA fuel economy ratings of 18 mpg city, 26 highway are on par for the class, though if fuel-efficiency is a priority they're not particularly impressive if you weigh them against any number of slightly larger V-6-powered luxury sedans. However, Volvo vehicles have a reputation for lasting a long time, and the brand has shown strong corporate responsibility and a concern for the environment long before it was a marketing tool, so that could be a tie-breaker for some shoppers. The automaker claims to design its vehicles for 85 percent recyclability and 95 percent recoverability. 2011 S60 - T6 is a great overall vehicle. 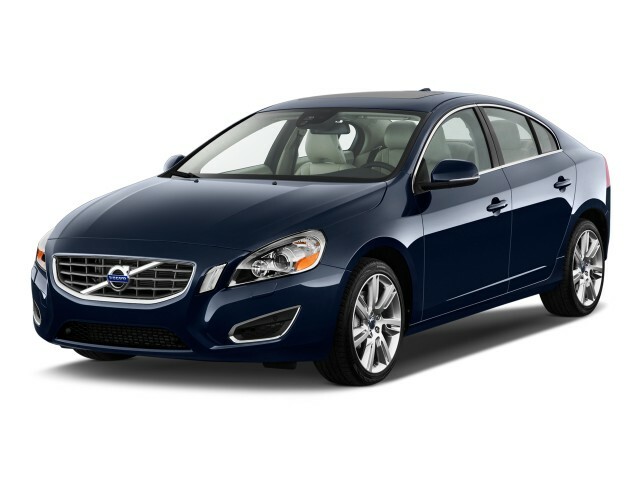 The 2011 Volvo S60 - T6, is a very safe, and comfortable vehicle. It would be the perfect vehicle if it got better fuel economy.